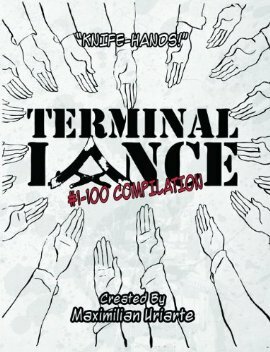 Whether you’ve served or not; if you have any interest in the military and have a sense of humor, I strongly suggest you follow Terminal Lance. The book contains comic strips #1-100 in addition to some extra stuff. Alternately, you can read all the comics on the website if that’s more your style. What ever you do, make sure to start at #1! Note: For those of you that don’t know what “Knife-Hands” are, see this particular comic.